Call Us Now! roof repair, roof replacement. Here at Dynamic Roofing Concepts, we have over 40 years of experience working with all different types of commercial and residential roofing in Tampa FL and the surrounding areas, including slate roofs. During this time, we’ve established a reputation as a trustworthy, honest, quality company to work with. We are confident we can handle any roofing need you throw our way. Whether you need simple maintenance, small repairs or an entire replacement of your slate roofing in Tampa FL or any of the neighboring cities, trust us to get the job done right the first time. We use only the best products and materials installed by professionals. We offer a 25 year warranty on all workmanship to ensure that it stands the test of time. When it’s time for a new, improved roof for your home or business, call the roofing company in Odessa FL and the neighboring cities that will help you choose the best solution every time. Our goal is to design and install a roofing solution that looks great and functions even better. As your biggest investment, your home should always be in great shape, and your roofing is a large part of protecting it. Don’t take chances with your roofing when help is just a phone call away. 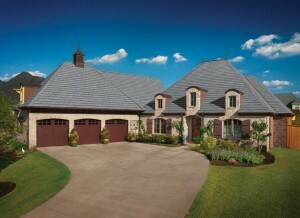 Call us today at 813-257-9355 to learn more about the benefits of slate roofing, and to schedule a free consultation. Went well, price was competitive with other quotes. Their guys finished the project in 1.5 days. Very well. Would recommend to others. 22Apr2019Is GAF® TruSlate® Premium Roofing System Worth It? © Copyright 2015 Dynamic Roofing Concepts Inc. All Rights Reserved.